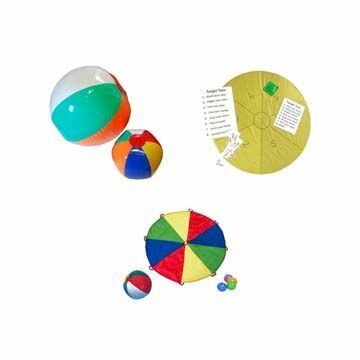 These activity modules and kits are designed to support the teachings of the very successful "DementiAbility Methods: The Montessori Way™" workshops that emphasize person-centered care. Each module focuses on one of Mind (Cognitive), Body (Active) or Spirit (Creative) and has been developed using the DementiAbility Montessori principles of "C-R-E-A-T-E" . Having these modules available ensures that there is a selection of programming materials with sufficient variety to easily create a comprehensive schedule of programs that meet the needs, interests, skills and abilities of your residents with dementia and Alzheimer's. You could create your own materials if you had the time to look for ideas, gather the components, and put them together in a professional way, and that's just the beginning. Once that's done, more time has to be spent testing and fine tuning, putting the materials together in a way that others can use and explaining how to use them effectively. If you don't have the time, don't stall your implementation - these modules offer a tested and proven alternative. The fastest and easiest way to get started is with the "DementiAbility Montessori Implementation Kit". It includes all eight of the modules, plus the Pocket Packs, at a discounted price. This kit allows you to jump right in with a wide variety of quality programs that are ready to go. If you want to try a selection from each of the modules, choose one of the two "Sampler" kits which each include one or more activities from each module. If you only need to fill out some areas of your calendar, make your own “kit” by choosing from the individual modules. Developed using the principles of "C-R-E-A-T-E"
Keeping Busy has created excellent games and resources that are perfectly aligned with the DementiAbility Methods: The Montessori Way. Their activities support the DementiAbility Philosophy that aims to enrich and engage people with dementia and other forms of cognitive loss, while also enhancing self-esteem through activities that achieve successful outcomes. The activities are suitable for a range of abilities and interests, thereby entertaining and engaging people in pleasurable activities. Buy three or more modules and save 5%! E - Extend a sincere "thank you" or "well done"